The thing is, Q and I have massively outgrown our flat and I’ve gotten into the habit of saying, “I’ll do it when we get a house”. Which is silly given I’ve been saying it for the last few years, and have passed up lots of lovely home purchases in the process. But this is why I love blogging, because it opens me up to experiences I might not have had otherwise… or in this case gave me a friendly kick up the backside. 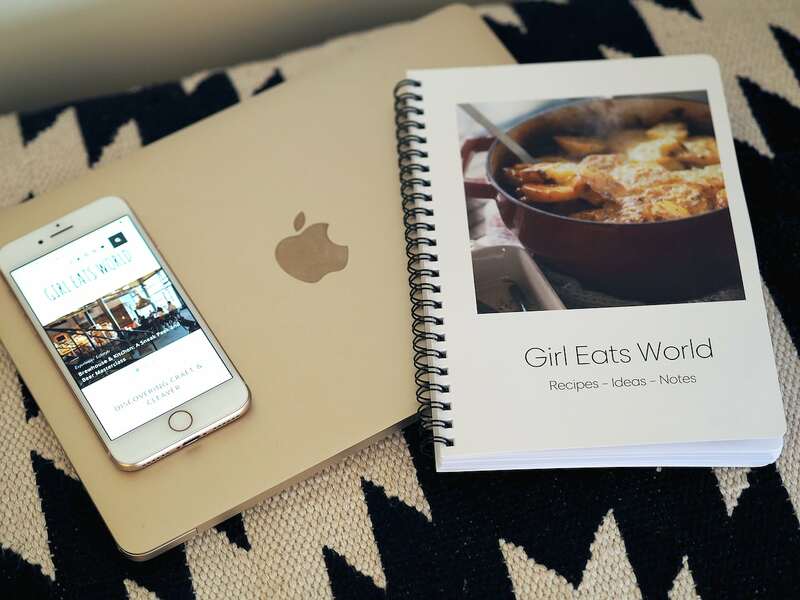 I’ve partnered up with Snapfish to invest in memories for my home! I was given free reign of their website to pick and design items to suit me. 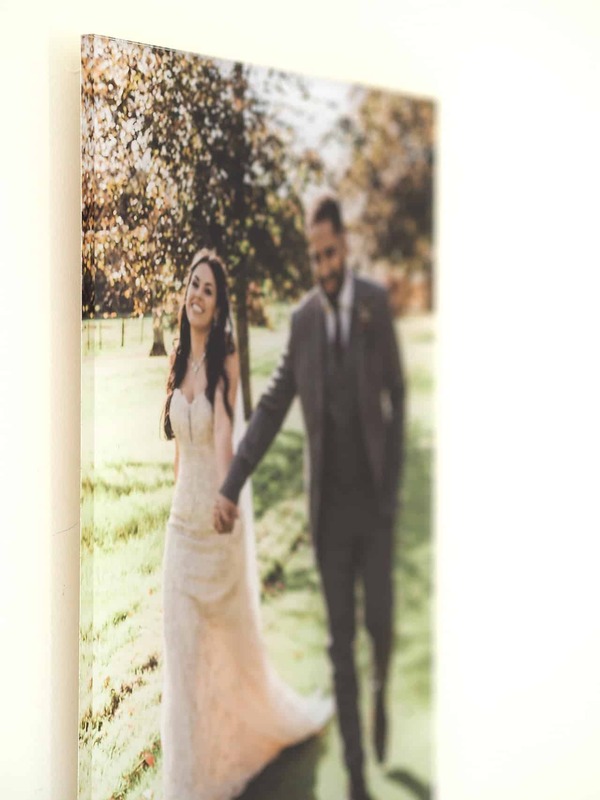 I’ve used Snapfish plenty of times in the past for the odd quick print for small photo frames, but I’ve never delved into the full ranges of what they offer. There’s loads! Of course this section catches my eye! 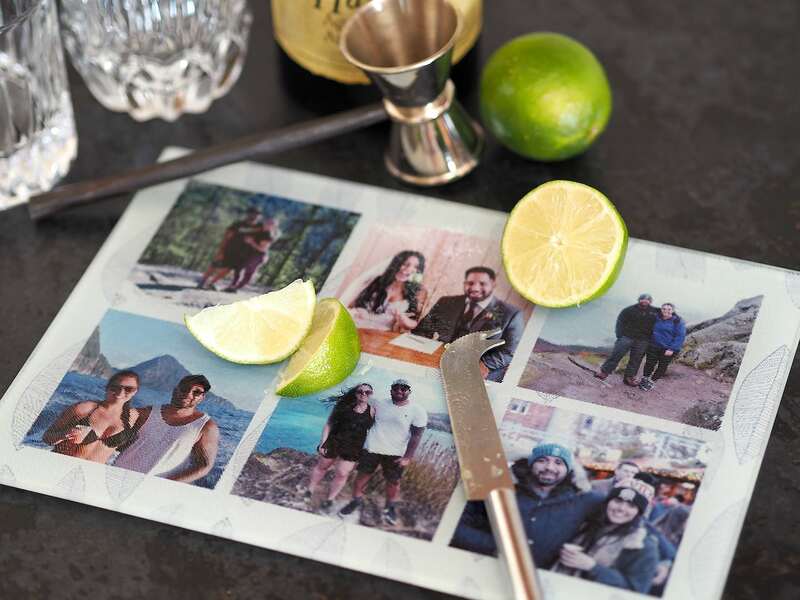 There’s loads of options for personalising your kitchen and dining spaces like placemats and coasters, but in the end their brand new glass chopping boards took my fancy. And of course, I christened it with fresh lime slices for my rum and ginger. Isn’t it cute? It makes a nice change from wooden boards. I’m impressed it can go in the top drawer of the dishwasher too! There’s a huge amount of layouts in the design interface so you can pick how many photos to display, whether it’s one special moment or a selection. I chose pictures of us from our getaways over recent years. 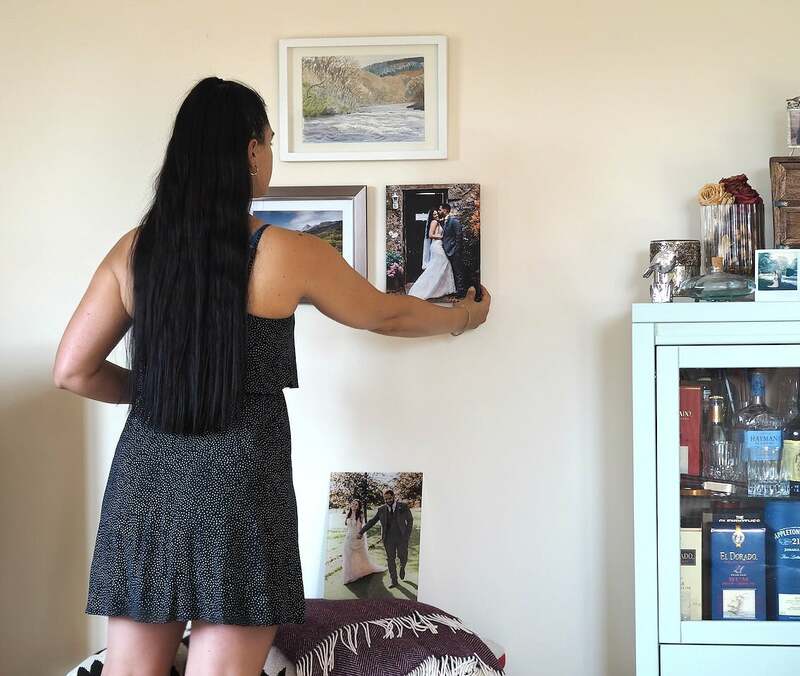 I loved the options Snapfish have for larger, more luxury prints of your pics. First off I chose a canvas print, which has a more rustic feel. 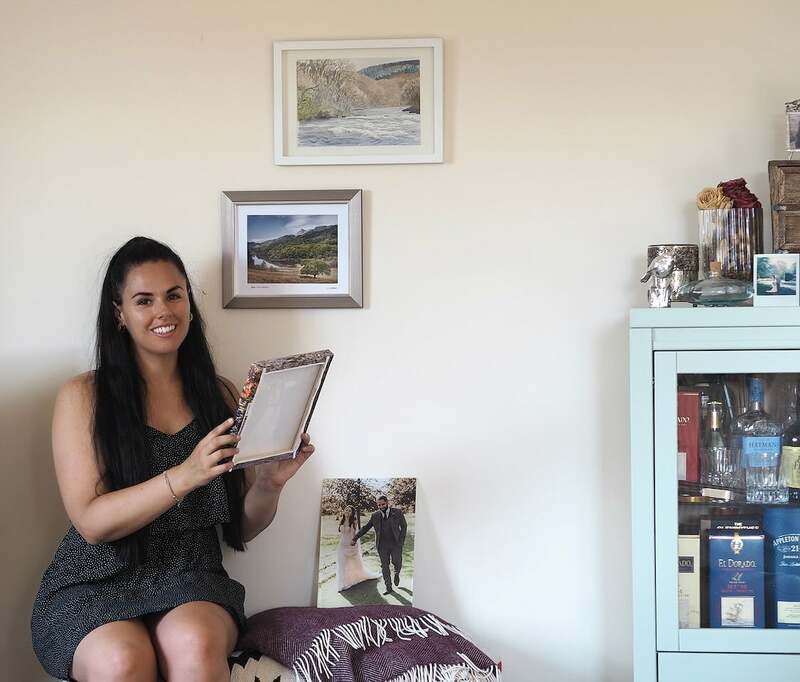 It was perfect to complete a trio of memories in our living room. I love how the image wraps around the edges! 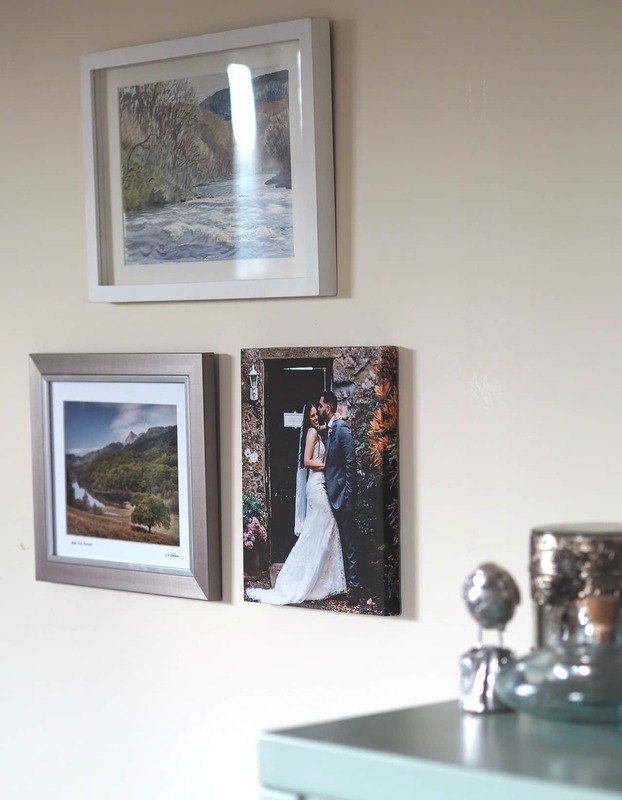 The canvas prints are very light so just a small tac was enough to hold mine, which is 10×8″. It now sits perfectly with two pieces of artwork from Scotland which remind us of our engagement. 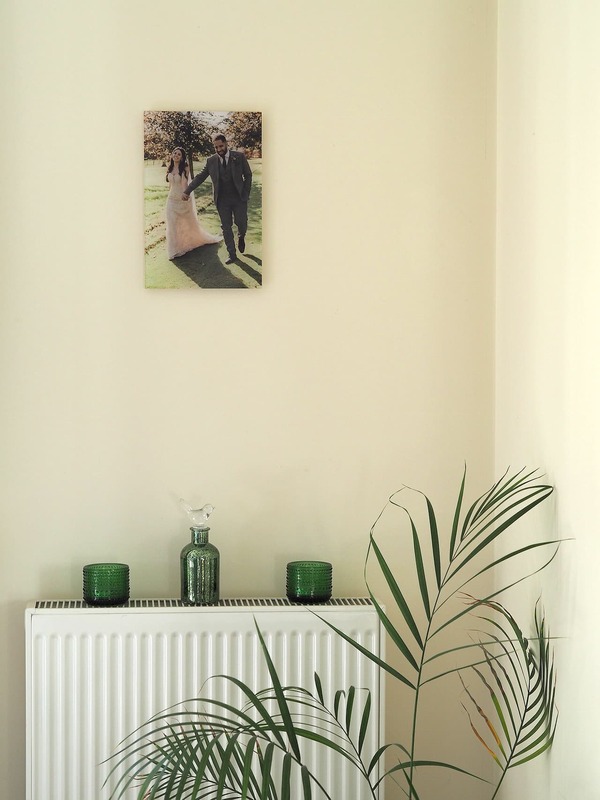 I also chose a clean and contemporary acrylic print which I have hung by our dining table. I am so impressed with the clarity of the image, it’s flawless! Super sharp and glossy. 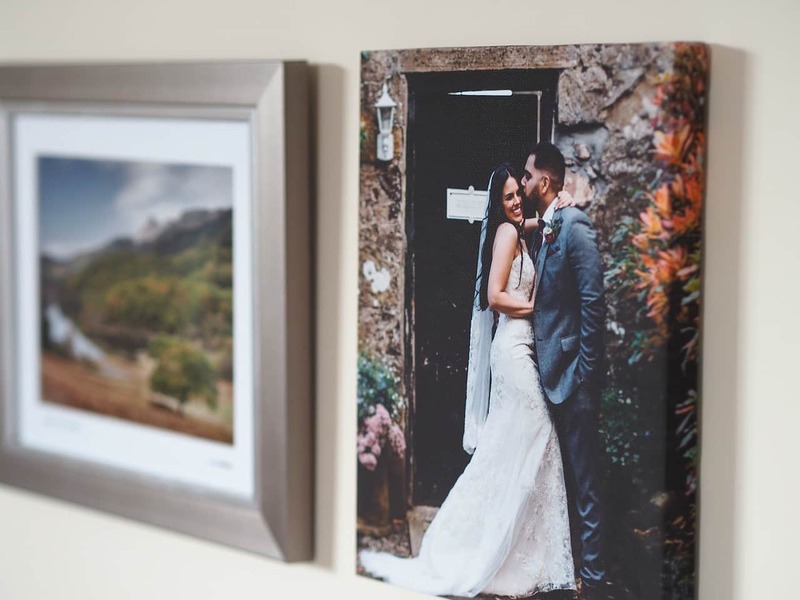 It came with three adhesive wall mounts which hold the print away from the wall a little so it achieves that contemporary floating effect. Finally, as an eternal list writer I liked the idea of creating a notebook which was personalised to my blog. No more losing my notes! There’s options for bound, spiral, and hardback. This is going to live in the kitchen where I can write down new recipes as I’m making them up. The design interface for creating all of the items was really user friendly. You can see where the print line is to ensure you get perfect placement of your image. There’s a massive range of layouts and designs to suit different styles as well, so whether you want something sophisticated or something more fun you can adjust to your personality. It’s good fun! Disclosure: This was a sponsored post in partnership with Snapfish. As always all thoughts and words are my own.